ew Delhi : A day after a Jaish-e-Mohammed attack on security forces in which over 40 CRPF jawans were martyred, the Indian Prime Minister Narendra Modi has given a stringent message to the terrorist organizations and Pakistan. He said that the terrorists have committed a very grave mistake and will pay a very heavy price for it. The security forces have been given free hand against the militants. 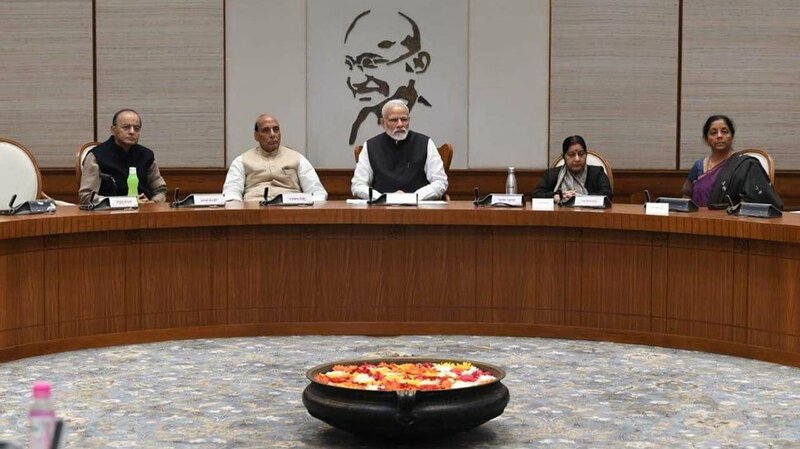 Modi said this after chairing a high-level Cabinet meeting on security attended by Union Minister Arun Jaitley, Home Minister Rajnath Singh, External Affairs Minister Sushma Swaraj, NSA Ajit Doval and the Military Chiefs. As per the decision taken in the meeting, the Indian government stripped Pakistan of the Most Favoured Nation or MFN status for trade. “The Most Favoured Nation status which was granted to Pakistan, stands withdrawn,” Union Minister Arun Jaitley said after the meeting a short while ago. Addressing the media, Jaitley said India will intensify its diplomatic efforts to corner Pakistan on the international level. “The Ministry of External Affairs will initiate all possible diplomatic steps which are to be taken to ensure the complete isolation from the international community of Pakistan of which incontrovertible is available of having a direct hand in this act,” the minister said. “People who are responsible and have supported this act of terrorism will have to pay a heavy price for it,” he added. After the terror attack on the Indian Army base at Uri in northern Kashmir on September 18 last year, the government had initiated a review of the Most Favoured Nation that India had granted to Pakistan for bilateral trade. However, despite the Uri attack, the MFN status to Pakistan was not revoked.